We all know that drinking alcohol can be a very sociable and enjoyable experience. In fact, to most of us it is considered an essential part of our social life. But what happens when it goes beyond that? What happens when alcohol starts to creep into other areas of your life? What happens when it starts to affect not just you but other people around you? There is a darker side to drinking alcohol and there is a blurred line between the acceptable consumption of alcohol and alcoholism itself. 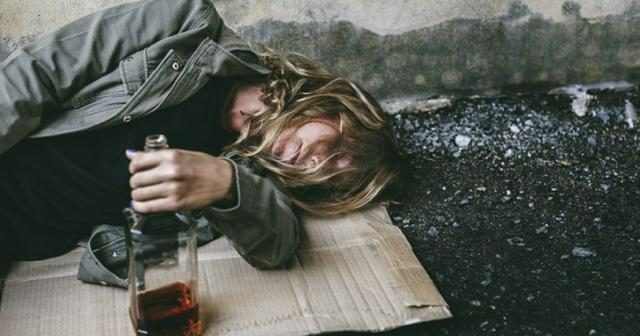 Here we discuss the Alcoholism Facts to give you a better understanding of alcoholism. Cancer of the liver has had the highest rate of increase of all cancer types between 1994 and 2003, increasing by 10.7% for females and 7.4% for males, compared to an increase for all cancers of 1.1% for females and 1.1% for males. Inhibitions Become Reduced – at a blood alcohol concentration of 0.05, changes in a person’s behavior begins to be noticeable. Alcohol abuse effects and reduced inhibitions can put a person at higher risk for actions they would otherwise not participate in, such as sexual activity, continued drinking or illegal drug use. Loss of Muscle Control – at the level of 0.10, slurred speech will likely be evident. Impaired judgement and poor coordination are physical effects of alcohol abuse that can lead to falls and accidents. Memory Loss and/or Blackouts – since alcohol depresses the brain’s control mechanisms, as blood alcohol levels increase, periods of time and certain situations and events may not be remembered afterward. Confusion – when blood alcohol levels reach 0.30, the person will act in a confused manner, unable to have a logical conversation, for example. Stupor – at a blood alcohol concentration of 0.40, a person can hardly function, acting seriously dazed and disoriented. Coma – at a blood alcohol level of 0.50, a person is at risk for coma, which can be life-threatening. Death – with blood alcohol levels of 0.60 and higher, respiratory paralysis and death become very much a possibility.